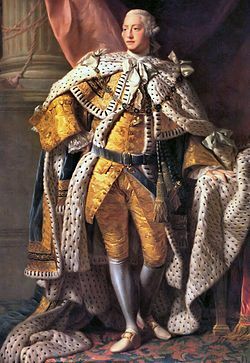 Grenville was replaced as Prime Minister on July 10, 1765, by Lord Rockingham, the first lord of the treasury. News of the mob violence began to reach England in October. At the same time that resistance in America was building and accelerating, conflicting sentiments were taking hold in Britain. Some wanted to strictly enforce the Stamp Act over colonial resistance, wary of the precedent that would be set by backing down. Others, feeling the economic effects of reduced trade with America after the Sugar Act and an inability to collect debts while the colonial economy suffered, began to lobby for a repeal of the Stamp Act. A significant part of colonial protest had included various non-importation agreements among merchants who recognized that a significant portion of British industry and commerce was dependent on the colonial market. This movement had spread through the colonies with a significant base coming from New York City where 200 merchants had met and agreed to import nothing from England until the Stamp Act was repealed. When Parliament met in December 1765, it rejected a resolution offered by Grenville, who remained in Parliament, that would have condemned colonial resistance to the enforcement of the Act. 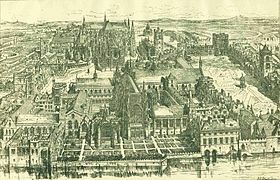 Outside of Parliament Rockingham and his secretary and member of Parliament, Edmund Burke, organized London merchants who in turn started a committee of correspondence itself to support repeal of the Stamp Act by urging merchants throughout the country to contact their local representatives in Parliament concerning repeal. When Parliament reconvened on January 14, 1766, the Rockingham ministry formally proposed repeal. Amendments that would have lessened the financial impact on the colonies by allowing colonists to pay the tax in their own script were considered to be too little and too late.